Californians already knew about the board culture in Santa Cruz, but once the Beach Boys immortalized the city in their 1963 hit song, “Surfin’ U.S.A.,” Santa Cruz became universally synonymous with surfing. Our ‘Sweaty Sheep‘ recOvery program embraces the spirit by promoting weekly opportunities and resources for sailing, surfing, hiking and biking! Take a look at our ‘Salty Sheep’ sailboat! Its a short stroll to Pacific Avenue and 3 miles to our partnering 7 acre organic Farm with plenty of volunteering opportunities alongside special needs friends, free range chickens, and supportive new friends! Learn more about our farm at www.costanoacommons.org. Families shouldn’t miss the Santa Cruz Beach Boardwalk, with its classic wooden rollercoaster and other exciting attractions. 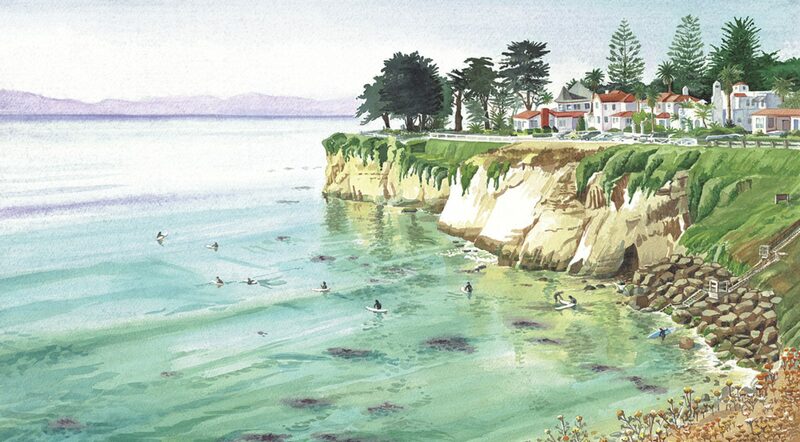 And Natural Bridges State Beach is the place for viewing wildlife, from shorebirds to migrating whales. Behind the house are the trails of nearly lagoon and tennis/soccer/bball within 2 blocks!